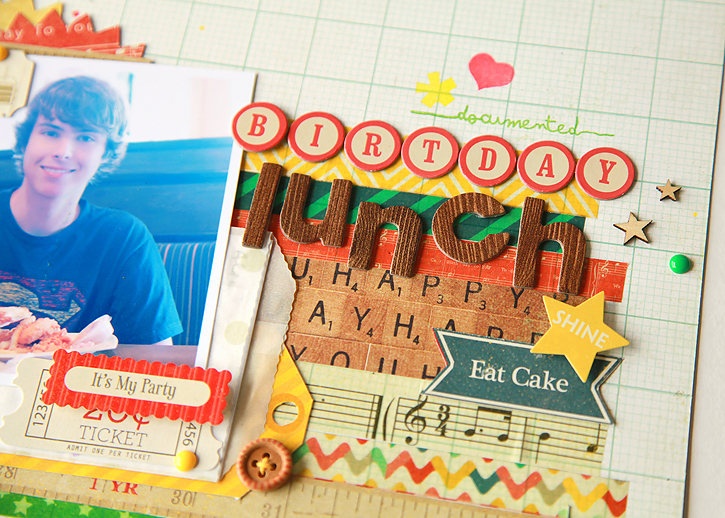 The Crate Paper Party Day collection is so bright and colorful and fun! It's obviously perfect for birthdays so I documented going out for lunch on Alec's 16th birthday. I journaled inside the white envelope that's also part of the Party Day collection. I used my Silhouette Cameo to cut some pinked circles and some words. 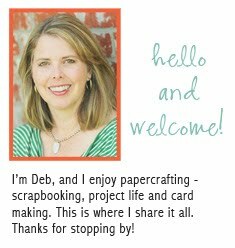 The strips under the photo and title are made from the Party Day washi paper, patterned paper and vellum. 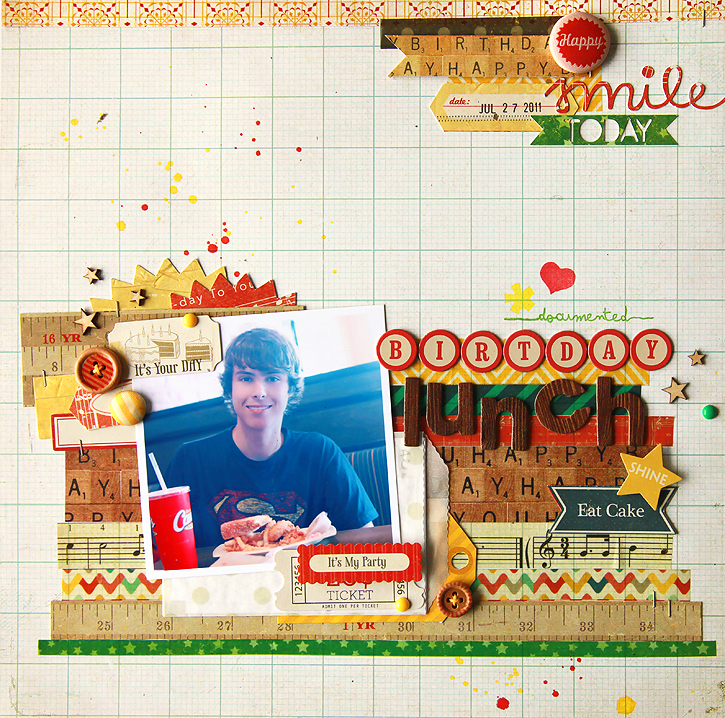 The result was a very colorful and busy layout, just like celebrating a birthday should be! 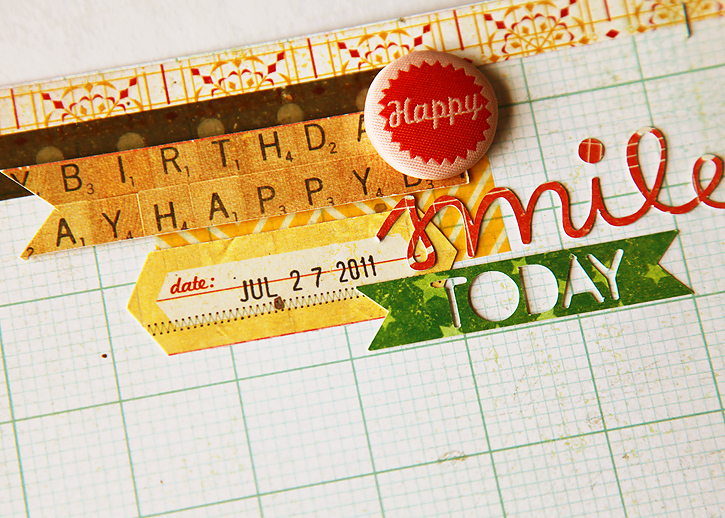 The stamp I used for "documented" and the heart and asterisk are from a Studio Calico kit and no longer available. I linked up the other products used below.